The confusion comes from a section of the law that treats non-electronic distractions as a secondary offense Specific distractions are undefined, but lawmakers and officials have mentioned eating or drinking, applying mascara, reading a book, or having a dog on your lap. Fellow travelers, let’s get something straight. It remains legal in Washington state to drink coffee and drive. Just make sure to stay in your lane. Many people are understandably confused about the new distracted-driving law that took effect Sunday. All nonemergency use of a handheld device, and all watching of video even in dash-mounted devices, is a primary traffic offense, meaning police can pull you over and write a $136 ticket. Drivers are allowed to initiate apps with the “minimal use of a finger” for devices in a dashboard cradle or those built into the car. 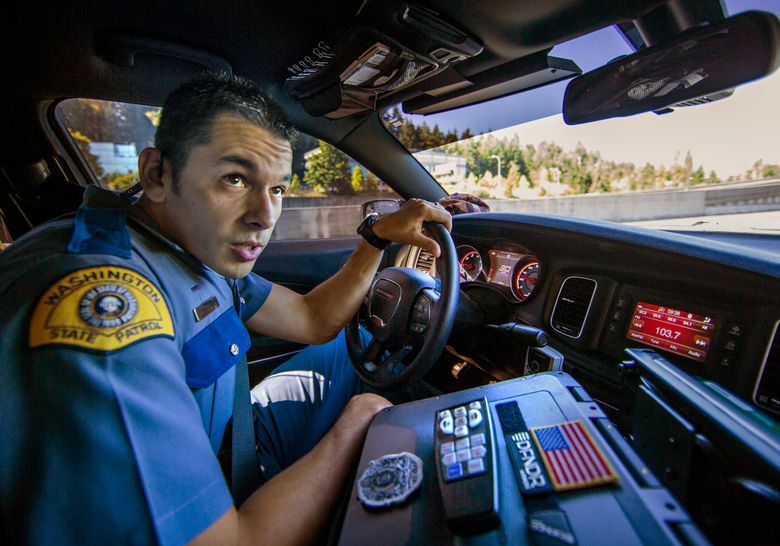 Some law-enforcement agencies are writing citations immediately, while the Washington State Patrol (WSP) and the Seattle Police Department declared a grace period to educate drivers before issuing tickets. They will issue verbal warnings until January. The confusion comes from a section of the Driving Under the Influence of Electronics Act (DUI-E) that was added to treat non-electronic distractions as a secondary offense. That means an officer can write an extra $99 ticket if you’ve been pulled over for a primary violation, such as speeding or tailgating. Specific driver distractions are undefined, but lawmakers and police officials have mentioned eating or drinking, applying mascara, reading a book, or having a dog on your lap. 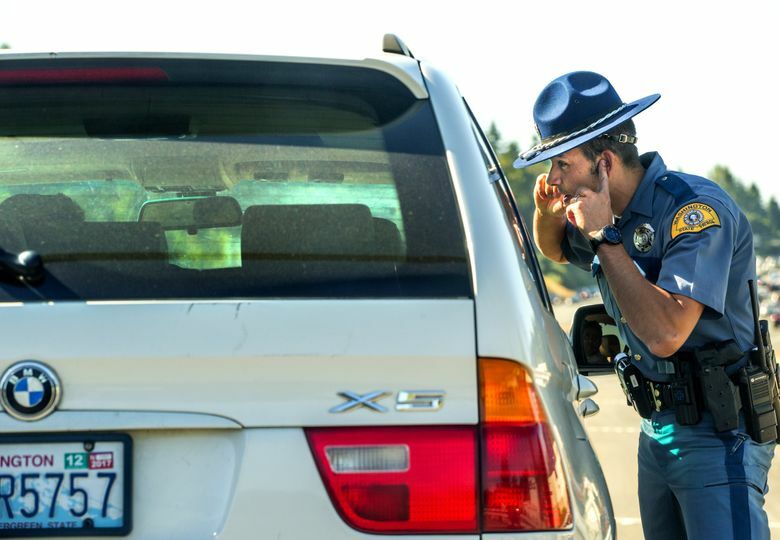 WSP Trooper Heather Axtman, who patrols Snohomish County and areas north, said she’s been deluged with questions on Twitter and from acquaintances who fear they’ll be stopped and ticketed for drinking their morning coffee while driving to work. And a story in USA Today about the Washington law said drivers “will have to put down” their coffee. “If your Big Mac drops ketchup on the front of your shirt and you run a red light, or drive onto the shoulder, or commit any other traffic offense like driving outside your lane or following too close, or your water spills all over your car and you’re more concerned about the spilled drink than the road, then a secondary ticket can be issued,” Axtman said. “But I firmly believe the majority of the public can sip their latte while driving down the road, safely,” she said. Still, some people think government is overreaching. 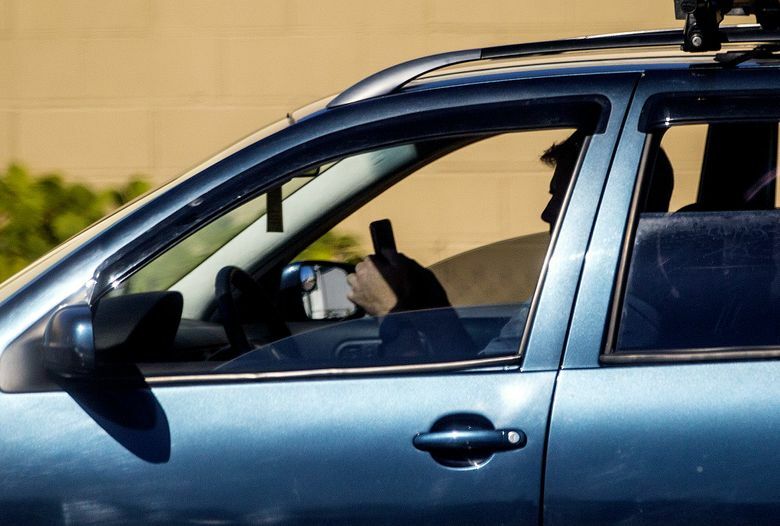 By Wednesday, more than 30,000 people had signed an online Change.org petition urging the state to rewrite the distracted-driving law, to drop the section on non-electronic distractions. 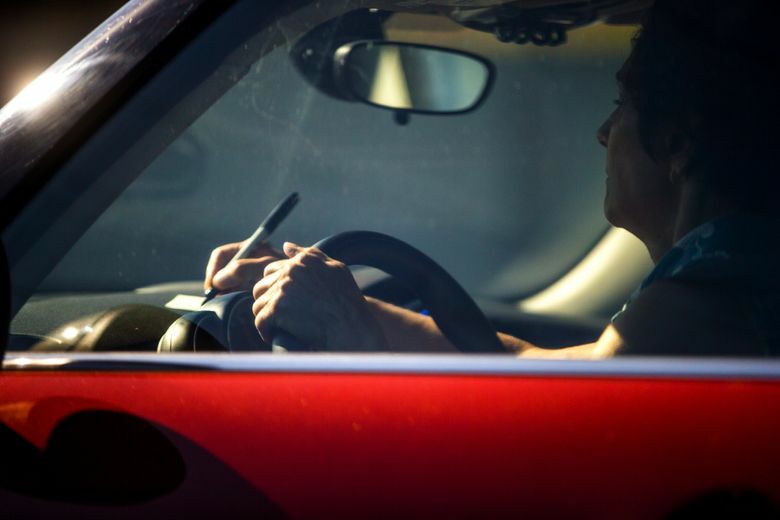 “As a working citizen and many others who commute long hours of driving throughout the State of Washington, I feel eating, drinking, and or grooming should be a citizens right when behind the wheel,” the petition says. Talk-show host Jason Rantz, at KIRO 97.3, blogged that, “I won’t follow the distracted driving law” because it treats drivers like children. Rantz said he can safely text in Mercer Street gridlock, or when the Fremont Bridge opens for boat passage. A few opponents of the law, notably Rep. Ed Orcutt, R-Kalama, have argued police should target actual driving violations, not a technology. Some people wonder about arbitrary or unequal enforcement. Unlike a speeding ticket based on radar or a breathalyzer test for drunken driving, distraction cases hinge mainly on the officer’s word. On the other hand, troopers have no trouble seeing clear-cut violations. Merging into Interstate 90 at Eastgate on Wednesday morning, Trooper Marcus Sanchez said he hasn’t seen a difference in how people drive since the law went into effect on Sunday. As of midweek, he had issued about eight verbal warnings for DUI-E. He spotted three illegal cellphone users during a two-hour ride-along with a reporter on Wednesday. He pulled over a woman holding a cellphone below her chin, in speaker mode, at the ramp from northbound Interstate 405 to westbound Highway 520. That would have been legal a week ago, under the old law. She was given an information card and a verbal warning. Sanchez then stopped a blue pickup whose driver held the phone near his head, then shifted it to his lap. He also got a card and a warning. Another driver was texting at the Coal Creek Parkway onramp to southbound I-405. The car took so long to reach the freeway due to heavy traffic, Sanchez got tired of waiting. He accelerated his black, unmarked Dodge patrol car into the mainline, looking for other violators. He passed a woman writing on a piece of paper atop her dashboard, while driving uphill on I-90 toward Eastgate. That would be a secondary violation, but Sanchez didn’t stop her, because her red Mini Cooper was otherwise traveling legally. Under the old law, Sanchez chose not to cite about half the motorists he pulled over for texting or having a cellphone at the ear. People could offer many excuses or exemptions, and the old law didn’t cover social media, navigation apps and photo sharing. But Sanchez predicted fewer warnings and more fines under the new law, once WSP’s grace period ends in January. Violations will be simpler to prove. Police need only to see an electronic device in a driver’s hand.